Ani's Book Abyss: Booklikes-opoly | Roll #9! On top of my fifth roll, we were also given a chance to add 3 extra rolls in celebration of Dewey's 24 Hour Read-a-thon on April 29th. Even though I didn't really participate in the read-a-thon itself, I still happily rolled my three extra rolls! Roll #5: Normal roll after finishing book from previous roll. I rolled an 11 and landed on Paradise Pier 28. I read The Duchess War for 271 pages = $3.00, increasing Bank to $33.00. This book opens up in 1863. Click on book title above to see my review. The following are Read-a-thon Day Extra Rolls!! Roll #6.1: Rolled a Double 6 = 12 and landed on Main Street Station (3). SKIPPED -- DID NOT READ FOR THIS TASK. Roll #6.2: Rolled a 9 and landed on Main Street 11. Read Running Hot for 352 pages = $3.00, increasing Bank to $36.00. Author Jayne Ann Krentz was born pre-1955. Click on book title above to see my review. Roll #7: Rolled a 6 and landed on Cars Land 16. Read Backwoods for 378 pages = $3.00, increasing Bank to $39.00. 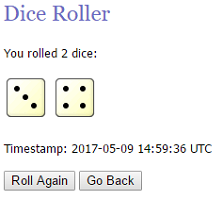 Roll #8: Rolled an 8 and landed on Water Works. Read Before the Storm for 336 pages = $3.00, increasing Bank to $42.00. Review forthcoming within next couple days. I was hoping to be able to roll more for Bout of Books this week, but I ended up getting behind on finishing that last book from the previous roll. It wasn't like Before the Storm was a hard read or anything, it just took a long time to finish for other reasons to do with real life. But hopefully we'll be moving along at a better pace now. All posts for previous rolls are listed at the end of this update with links, as well as previous book reviews for previous rolls. So from my previous Water Works position, we have moved forward 7 spaces and landed on The Monorail. The game board has become a lot quieter these days considering it took a little over a week for me to finish reading the books from my previous rolls. But Magnetic Monkey has taken it upon himself to showcase my stats and my most recent roll. Tada! Meanwhile, it doesn't show in this photo, but Teddy Bear game piece is having trouble staying on his spot, as he keeps sliding down the board. Hopefully, he stays put, or I'll have to set him aside for a while until my next roll. As for books, I've decided to read Julie James' newest release, The Thing About Love. Her books primarily take place in Chicago, Illinois, which I confirmed does indeed have a subway, so that satisfies one of the tasks on The Monorail game space. But then I found that the book also spends some time in Jacksonville, Florida, which DOES NOT have a subway system. 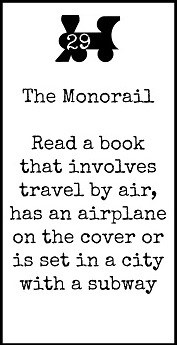 I'm not certain how much of the book needs to be set in a city with a subway? I was about consider another book when, skimming some of the book to see how much time is actually spent in Jacksonville, I realized that our two MCs also spend a lot of time traveling back and forth from Chicago to Jacksonville by plane (air)--Ding! Ding! Another factor satisfied! Needless to say, I'm a very, VERY happy reader right now as I'd been trying to find time to fit this book into my reading "schedule." 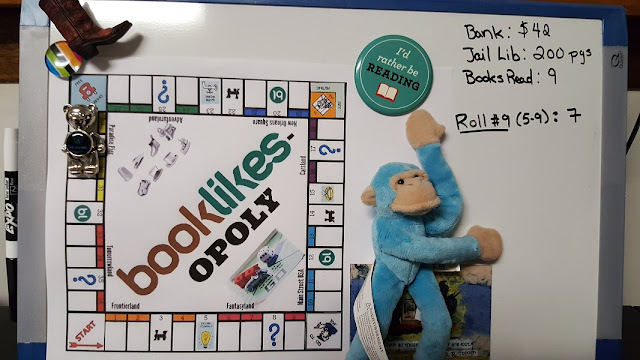 Of course, there is also that little thing about needing to read another book on my Reading Assignment list for this month, and there are at least two other books on said list that would also satisfy this game task. But still, I want to read The Thing About Love, so the decision is made and I'll just have to hope for another game space that will allow me to pick up a book off my Reading Assignment list. 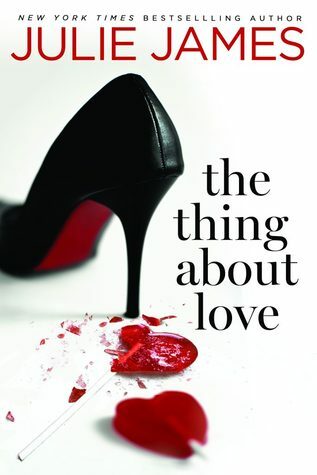 The Thing About Love is marked as 380 pages (Kindle edition), which will yield a $3.00 increase to my Bank, bringing me to $45.00 upon completion.